2010 ( AR ) · Spanish · Drama · PG-16 · 43 minutes of full movie HD video (uncut). You can watch Rosalinda, full movie on FULLTV - Two rhythms many in one body. 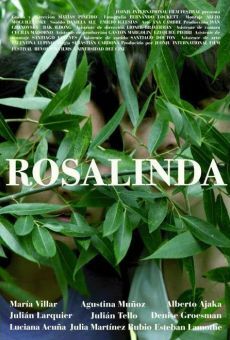 The first of an actress and the second of his character: Luisa and Rosalind share the same body but not at the same pace. One afternoon in the Delta del Tigre, on the outskirts of Buenos Aires, a group of actors are rehearsing the comedy As You Like It by William Shakespeare. During this time, love and rages between actress and character roles are confused between the enjoyment by the artifice and anguish of uncertainty. You are able to watch Rosalinda online, download or rent it as well on video-on-demand services (Netflix Movie List, HBO Now Stream), pay-TV or movie theaters with original audio in Spanish. This film was premiered in theaters in 2010 (Movies 2010). The official release in theaters may differ from the year of production. Film directed by Matías Piñeiro. Screenplay written by Matías Piñeiro. Film produced and / or financed by Universidad del Cine, Coproducción Argentina-Corea del Sur; Jeonju Internacional Film Festival and Revólver Films. As usual, the director filmed the scenes of this film in HD video (High Definition or 4K) with Dolby Digital audio. Without commercial breaks, the full movie Rosalinda has a duration of 43 minutes. Possibly, its official trailer stream is on the Internet. You can watch this full movie free with Spanish or English subtitles on movie TV channels, renting the DVD or with VoD services (Video On Demand player, Hulu) and PPV (Pay Per View, Movie List on Netflix, Amazon Video). Oh, Rosalinda!, full movie English 1955 Oh, Rosalinda! Full Movies / Online Movies / Rosalinda - To enjoy online movies you need a TV with Internet or LED / LCD TVs with DVD or BluRay Player. The full movies are not available for free streaming.